We Expanded From Spain to Chile. Here's What's Different (and What's the Same) About Building a Business in the Two Countries. Each country has pros and cons when it comes to growing a startup. Expanding to other countries is a natural step for B2B ventures, since entering new markets helps to reach more customers and increase revenues. Ennomotive was born in Spain in 2015 and started its Chilean journey in 2017. Our experience is that Chile is an extremely attractive country in the LATAM region not only because of its stable economic and political situation but also thanks to the continuous innovation programs led by the government. This is a brief comparison between the two countries when you want to start up a business. Ennomotive was incubated for over a year (2015-2016) at the IE Venture Lab program. We were launching the project and validating our open innovation platform to solve engineering challenges. At IE Venture Lab, we attended classes that taught us many valuable lessons about the basics on how to build a business from scratch and how to start operating. In August 2016, we were introduced to the seed program of Start-Up Chile. This program was more of an accelerator program, where we also had classes like at the IE Venture Lab, but in this case the topics revolved around how to expand your business in Chile, adaptation to the market, penetration tips and so on. Chile is a country with a lot of positive elements for starting a business. Start-Up Chile was very attractive for three reasons: It is part of the Chilean Economic Development Agency (CORFO), offers a working visa and a soft landing -- key aspects to start operating in a country like Chile -- and also gave us $30,000 -- free of equity -- to support our startup during the first steps. The real benefit behind CORFO is its efforts to promote innovation in the country by working closely with universities, companies, startups and other entities. Its primary goal is to make Chilean companies stronger through innovation and, in order to do that, it helps valuable foreign players to come in and establish their operations in the country. In addition, it helps Chilean companies develop distinctive capabilities through funds and exports to other countries. In Spain, there are also several innovation support programs, including the local CDTI neotec and the European Horizon 2020, which are very good but extremely competitive. The fierce competition in Spain marks an important difference with Chile, where the offer for innovation programs is greater than the demand. Once you complete the first landing trainings and finish the immigration paperwork, you must start to connect with local companies. Take into account that, regardless of the country you want to expand to, even if you arrive with the support of an accelerator program, it is mandatory to do your homework and knock at the right doors when reaching out to your target clients. This is no minor task for a B2B company; it is vital to get out of your office and visit companies for a successful expansion. Back in 2015 when we started our business in Spain, we also had to make a great effort to raise awareness about our services. It was really hard to find clients willing to test our engineering crowdsourcing model with no previous references, so we had to rely on past professional networks from college and previous jobs. 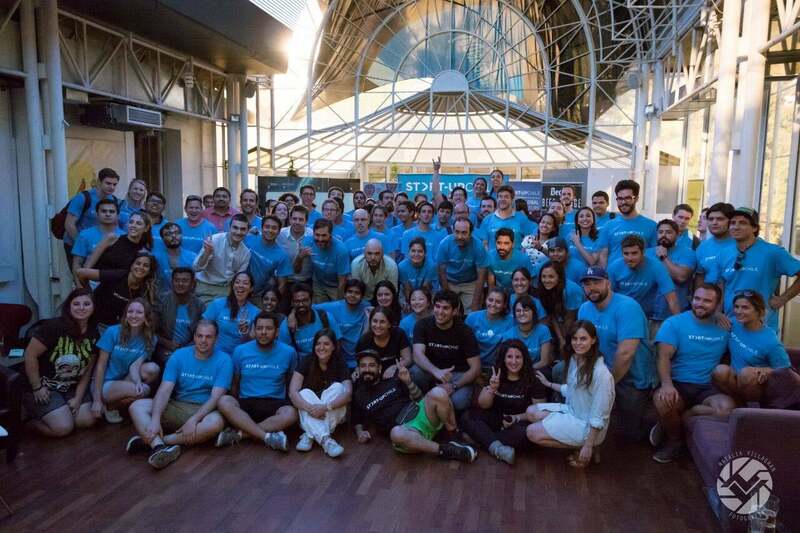 Since it was not possible to do this in Chile, it became clear immediately that LinkedIn was a very good way to connect with local professionals. Luckily, Start-Up Chile and CORFO were a strong reference when it came to agreeing to meet with us. Having a reference person, company or institution is very important to move forward in Chile. Building trust in Chile is crucial, which makes the first steps a little more challenging compared to Europe. During our first meetings, Chilean companies asked for credentials in the country and it was not possible to have them since we had just landed a few weeks before. However, we realized our credentials with Spanish companies were partially valid since many of our previous clients are well-known and present in Chile. Another important decision was the creation of a local company, to be able to hire local people and make the most of tax benefits for new small and medium-sized companies. In this sense, it is worth considering local support or even partnerships. As a matter of fact, creating a company can be done very quickly with a fast track called "Empresa en un día" -- good job, Chile -- but other requirements like opening a bank account for a company with no history behind it really are a challenge. Nevertheless, if you decide to go to Chile with a B2B venture, you will need to consider it will take time to learn the local ways of doing things, get known and start doing business, as expected if you are expanding abroad. However, in this particular country, patience is very much needed. If your venture brings in a new technology, you will also need to bear in mind that companies in Chile are not generally early adopters. They prefer to use traditional techniques unless they have a strong reason to change, which is not the case in Spain, where companies are a bit more open. One example is the mining industry, where companies prefer suppliers take the risk to adopt innovations before they bring those to their mining operations. A good strategy in this case is to use some of the funds that CORFO offers to companies that want to try new technologies, just like we did, and very successfully so. In fact, we used that tactic to start working with Codelco Tech, the R&D branch of the first company in the country, Codelco. This strategy may not be as valuable in Spain because the open-mindedness of the business landscape makes it easier for startups to succeed without institutional funding. Similarly to Spain, it is also beneficial to spend some time in building connections and agreements with universities, or even industry associations. Chilean industry associations and universities were more hesitant to collaborate with ennomotive when compared to Spain, maybe because Spain is getting out of a big economic crisis and some people are more concerned about short-term money than about forming an alliance. However, as long as you pay a given price, Spanish associations will open up for you. My last tip is to participate in events in Chile, either by giving a presentation or with a booth. Creating awareness for your startup in Chile will be more important compared to Spain, since this will help to build some confidence. We became involved in industry events such as Gecamin and Expomin and it really helped, because it is very important, unlike Spain, to have a permanent presence in Chile to do business and create the visibility to be taken into consideration. If you want an extra push, try to appear in the national press. In our case, we were also featured in a few media outlets by using Start-Up Chile and other clients' credentials. My Italy-Born Company Opened a U.K. Office So We Could Be Global From the Start. Here's What We Learned Scaling Internationally.